Instagram is a famous photo and video sharing social network that allows the user to share photos and videos on the app or through social networking websites like facebook and twitter. Launched in October of 2010, Instagram is available on the Google Play Store and the Apple app store for free. Nowadays, there have been debates on technology giants violating user’s privacy and consumers rights, so many users decided to quit social media. Instagram’s name has been popped up many times in this debate regarding the privacy of photos and videos of users. So, if you are one of those who is concerned about privacy, then you can quit Instagram by deleting your account. As the very name suggests, temporary deactivation will deactivate your account temporarily. In this type of deactivation, none of your photos and videos will be deleted. They will just be hidden from users until you reactivate your account again. In permanent deactivation, your account will be gone for good and all your photos and videos will be deleted. The process of Instagram account deactivation can be carried out only on a PC with an internet connection. Before deactivating your Instagram account, remember to save any important photos which you want to keep. Head over to the Instagram website on your PC. Click on “Temporary Disable my account” on the bottom right side of the screen. Now, you will be asked why you want to leave Instagram. Give an explanation. Enter your password when asked and click on “Temporary Disable your account”. That’s all! Your account will be disabled temporarily. Head to “Delete your account” page. Choose the reason for deactivation of your Instagram account. Enter your Instagram password and click on “Permanently delete my account”. That’s all! Your Instagram account will now be permanently deleted. 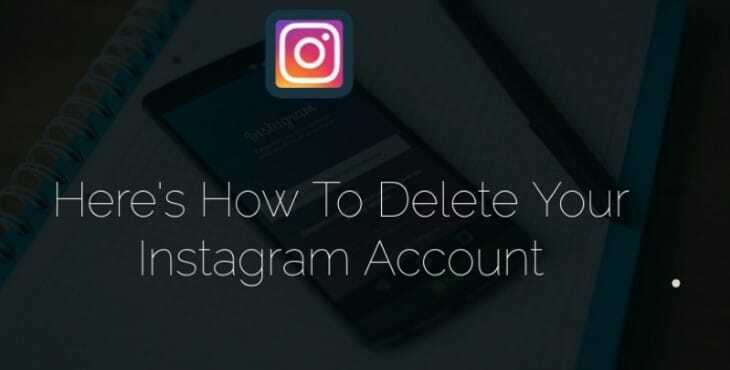 This was our guide on how to delete your Instagram account. Feel free to share this article on Google+, Facebook and Twitter.